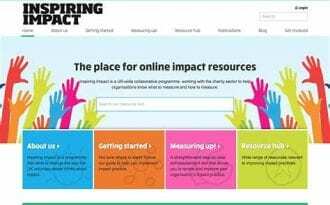 The Inspiring Impact programme has just launched a new website with a suite of free how-to guides and self-assessment tools for small and medium charities to help them understand and increase their impact. The website is particularly aimed at small or medium charities without dedicated impact management staff and the content aims to help individuals to identify the practical steps people can take to improve their practice. The Inspiring Impact site has been made possible through National Lottery funding. It combines Inspiring Impact resources with those of the Impact Management Programme following their merger in August 2018, and will hold resources from across the sector, from research reports and diagnostic tools, to outcomes frameworks and surveys. The tools and resources have been co-designed with 200 charities and social enterprises, to make the support responsive and relevant to organisations trying to improve their work with limited resources. This includes the Data Diagnostic, a five-minute questionnaire that provides tailored recommendations about what data to collect, which has already been used by over 600 people to review their data collection methods. Over 110,000 people have used these resources already and by consolidating them in one place it is hoped that they will be accessible to more charities. The Inspiring Impact programme has been running since 2012. It is funded by Access – The Foundation for Social Investment, City Bridge Trust and The National Lottery Community Fund. So far it has supported over 70,000 charities with over £1m funding to achieve good impact practice. To access the Inspiring Impact website, follow this LINK.